Do frightened grasshoppers increase carbon storage in grasslands? This is a super fascinating peek into the mysterious world of ecology and the interactions, cause and effect that make up our world. 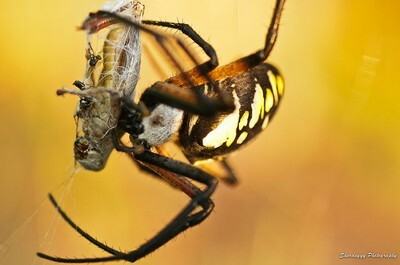 The first assumption might be that when carnivores such as spiders eat herbivores such as grasshoppers, more grass grows because there are fewer insects to eat it. However, that is not the dynamic the Yale research uncovered. Rather, researchers found two ways that predator pressure affects prey and causes changes that radiate through ecosystems. Do frightened grasshoppers increase carbon storage in grasslands?.